I love sunset pictures! 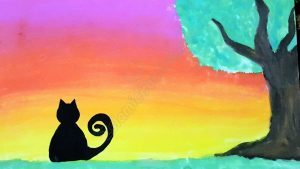 And here is a gorgeous painting of a cat in a sunset! 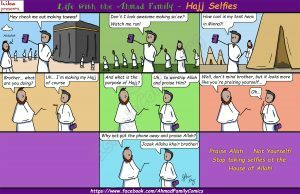 Many people go to Hajj each year, but many people ruin their worship because of this problem! 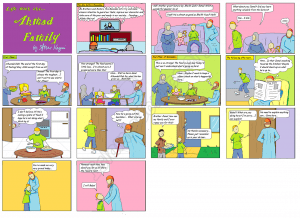 Read, enjoy and share this comic! 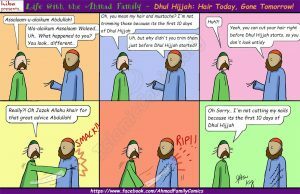 It’s sunnah to not cut your hair and nails in the first 10 days of Dhul Hijjah, but that doesn’t mean you have to walk around looking messy! 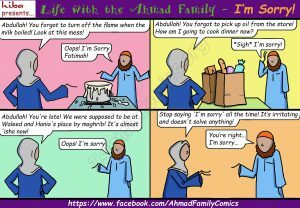 Read this hilarious Islamic comic to find out how!